The Burning World is Out in Paperback Now! 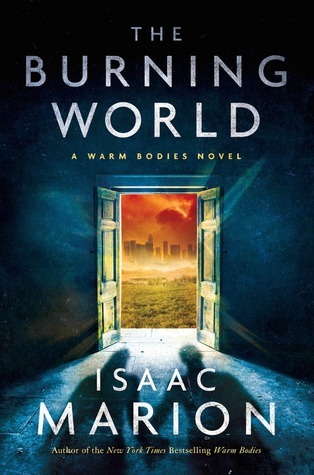 I am excited to share that Isaac Marion’s The Burning World is out in paperback here in the US TODAY! The Burning World is the sequel to Warm Bodies. Isaac Marion’s genre-defying debut startled the literary world with its poignant subversion of the zombie mythos, inspiring a major film adaptation and being translated into twenty-seven languages. Read the groundbreaking first entry as the Warm Bodies series approaches its conclusion with The Living, coming in 2017. Next up is The New Hunger, a prequel novella! The New Hunger is a crucial link between Warm Bodies and The Burning World, a glimpse into the past that sets the stage for an astonishing future. What today is all about: The Burning World is now available in paperback! Published: February 7, 2017; Paperback is out TODAY! Buy The Burning World on Amazon now! I will be giving away four pins that have the cover of The Burning World on them. They are wonderful! **This giveaway will be US only. ** Another giveaway will be on the Bookies Facebook page. You will have 4 chances to win over at Bookies as well! The picture does not do these pins justice. They are much more impressive in person! Isaac Marion grew up in the mossy depths of the Pacific Northwest, where he worked as a heating installer, a security guard, and a visitation supervisor for foster children before publishing his debut novel in 2010. Warm Bodies became a #5 New York Times bestseller and inspired a major Hollywood film adaptation. It has been translated into twenty-five languages worldwide. Isaac lives in Seattle with his cat and a beloved cactus, writing fiction and music, and taking pictures of everything. Visit IsaacMarion.com for more on these endeavors.